Welcome to Fabulous Blakes Bellagio. 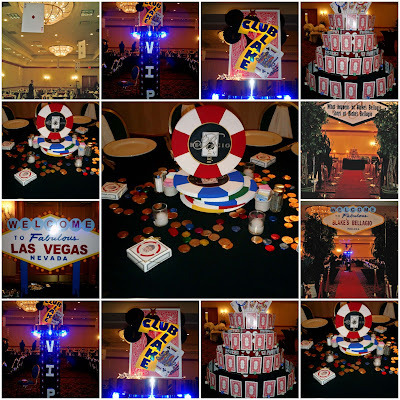 Giant poker chip centerpieces, playing card placecards, classic Vegas sign and a VIP club helped turn this Indiana hotel ballroom into a Vegas Casino. This entry was posted in Casino Bar Mitzvah, Casino Party, Poker Party, Vegas Party on September 23, 2008 by Setting the Mood.